What connects a head-hunter’s trophy, a meteorite, Hercules, a painting of a Hindu temple, an ornate desk, a brass instrument, a tin of tea (unopened), an exotic orchid, a gharial, stacks of home movies and 8,000 lines of Sanskrit manuscript? To this day, 1,000 years on, the palm leaf manuscripts are still helping to further research. The answer is India – and Cambridge. Among the many millions of objects held across the University’s eight museums, Botanic Garden, Centre for South Asian Studies, and University Library, are a huge number of wonders related to the world’s largest democracy. The stories behind some of these singular objects are being told in a series of short films as part of a year-long celebration across the University and city of Cambridge to mark the UK–India Year of Culture 2017. To celebrate the 70th anniversary of Indian independence in 2017, Cambridge has turned its gaze eastwards with India Unboxed – to highlight the astonishing artworks, artefacts, orchids and scientific instruments that have made their way to Cambridge over the past 800 years. 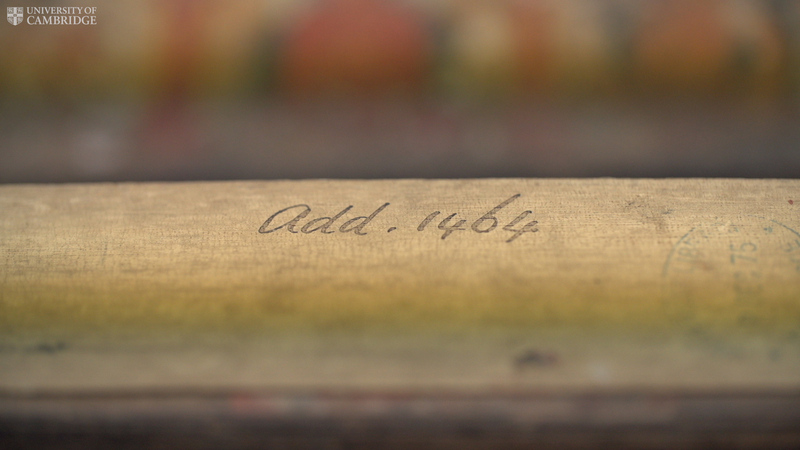 The films will explore and explain why a tin of Fine Indian and Ceylon Tea was packed for an Antarctic expedition at the turn of the 20th century; how a brass transit instrument was used in the Great Trigonometrical Survey of India; and what a gharial actually is. Malavika Anderson, Cultural Programmer for the University of Cambridge Museums, said: “The collections of the University of Cambridge Museums include a fascinating variety of objects, specimens, art works, photographs and manuscripts from across South Asia. “India Unboxed is a fantastic opportunity to celebrate these significant collections - to look closer at the fascinating and often complex stories of identity and connectivity between the UK and the Indian subcontinent. Throughout this year the University of Cambridge Museums will host special exhibitions, events and experiences that invite you to explore India through our collections. 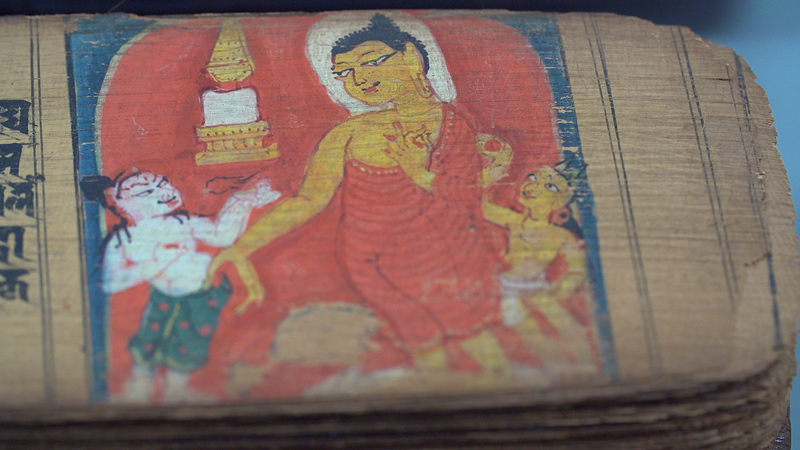 India Unboxed is rooted in the University’s museum collections, and involves academics, local diasporic communities and artists from India and the UK. The rich programme creatively unpicks the tangled relationships of the two countries, fusing historical context with contemporary perspectives. 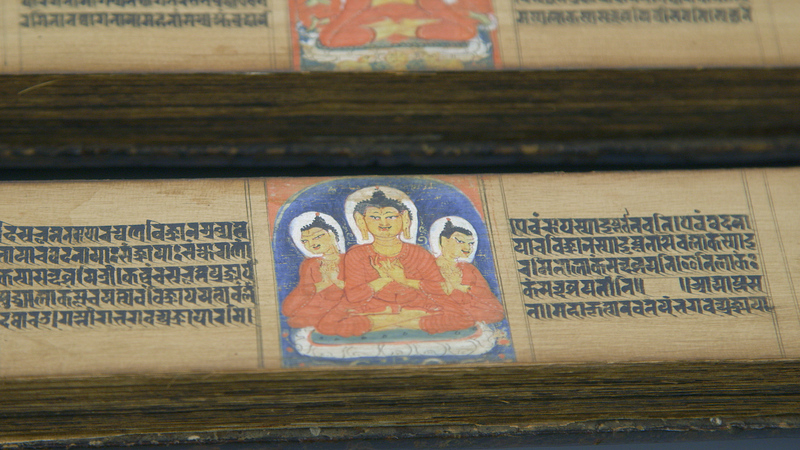 The India Unboxed film series begins with The Perfection of Wisdom – taking a close look at the world’s oldest dated and illustrated Sanskrit manuscript, held at Cambridge University Library. Over the course of six centuries Cambridge University Library’s collection has grown from a few dozen volumes on a handful of subjects into an extraordinary accumulation of several million books, maps, manuscripts and journals. 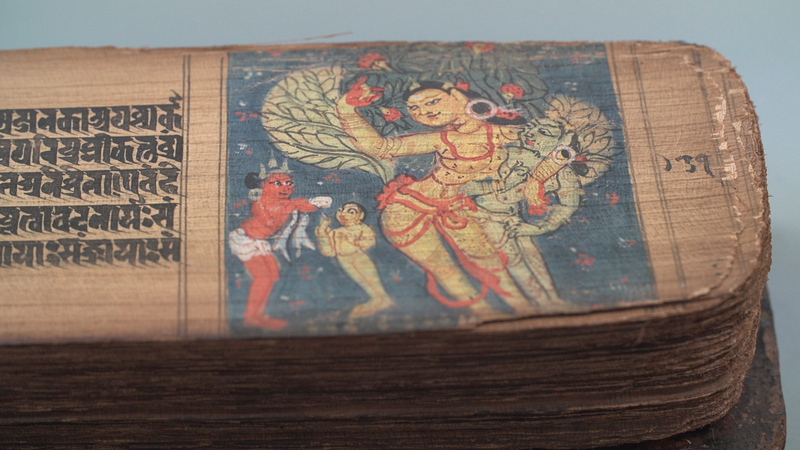 The library is also home to an extraordinary collection of Buddhist works, amongst which is one very important Sanskrit palm leaf manuscript. 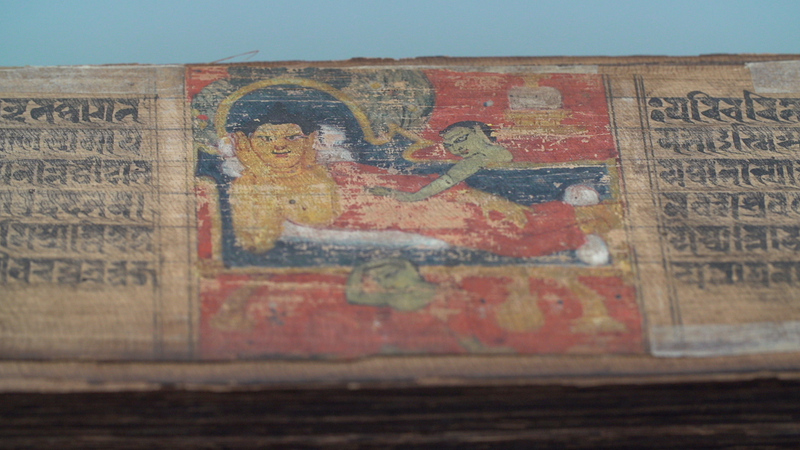 This manuscript is about a thousand years old and has one of the most famous titles in world literature — the Aṣṭasāhasrikā Prajñāpāramitā or The Perfection of Wisdom in 8,000 Lines. 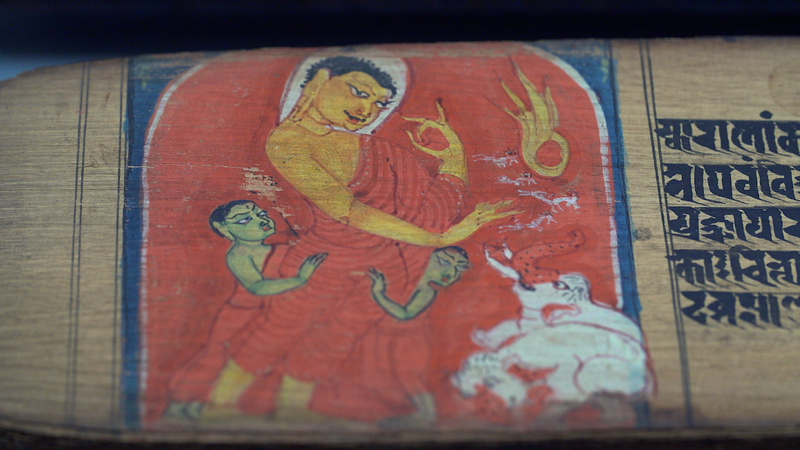 The Perfection of Wisdom offers a path to enlightenment and signifies the formal introduction to Buddhist thought. Certain events from the Buddha’s life feature prominently: his birth, his first teaching, his death, the attack by an elephant, the monkey giving him honey, and his return to Sāmkāśya after teaching his mother in heaven. Craig Jamieson, Keeper of Sanskrit Manuscripts at Cambridge University Library, said: “The many beautiful and well-preserved images are tiny but incredibly complex at the same time. Given that the nature of the medium, the palm leaf, places many restrictions on what an artist can do, the variety and detail in the illustrations of these manuscripts is astonishing. Over the course of the series, Cambridge University Library is one of just eleven collections showcased in film. Other collections include: the Museum of Archaeology and Anthropology, the Cambridge University Botanic Garden, the Museum of Classical Archaeology, the Fitzwilliam Museum, the Sedgwick Museum of Earth Sciences, the Whipple Museum of the History of Science, Polar Museum, and the archives of the Centre of South Asian Studies. How could multilingualism benefit India’s poorest schoolchildren?